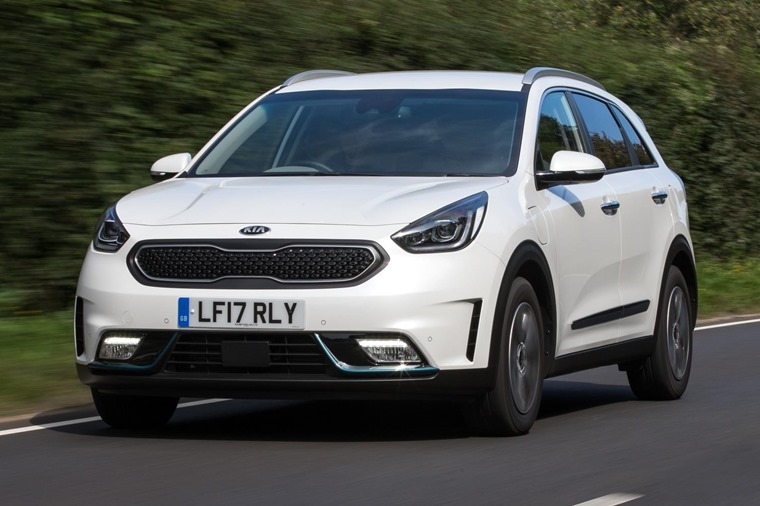 Kia has revealed a new addition to its Niro line-up in the form of a plug-in hybrid (PHEV). Purportedly capable of more than 200mpg and emissions as low as 29k/km of CO2, it’s Kia’s most fuel-efficient model to date. From the outside, not much marks the plug-in out from its conventional hybrid sibling, apart from some bright blue trim pieces, and of course a charging socket found on the off-side front wing. The same goes for the interior, where the only addition the driver will find is an extra driving mode that puts the Niro in “pure EV”. The PHEV is a standalone vehicle in the Niro range and is based on the mid-range ‘3’ trim level. 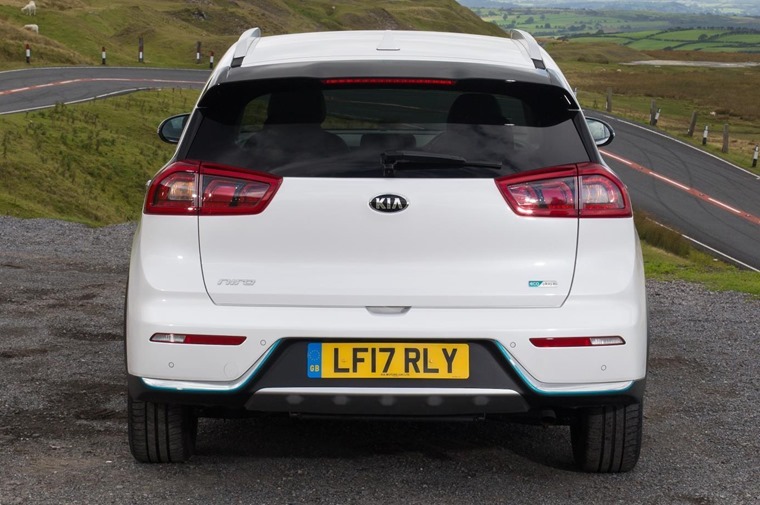 Standard features include Kia’s Connected Services featuring TomTom, wireless smartphone charging, autonomous emergency braking and lane-keep assist. 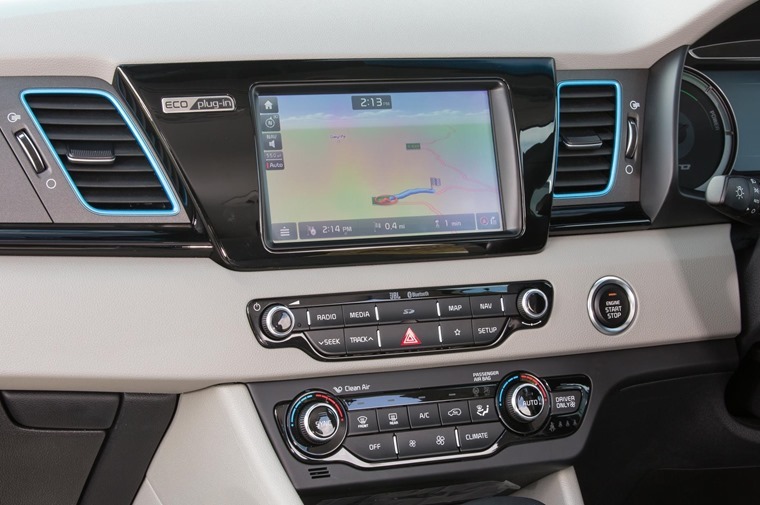 The 8in touchscreen infotainment system also offers Android Auto and Apple CarPlay. Of course changes are more extensive to the mechanicals – an 8.9kWh lithium-ion battery pack replaces the 1.56kWh system used in the conventional hybrid, resulting in an all-electric range of up to 36 miles. These bulkier batteries have impeded boot space somewhat, which offers up 324 litres compared to the conventional hybrid’s 427 litres of space. Performance stats have improved though, with 0-62mph now taking 10.4 seconds, while top speed has increased to 107mph. 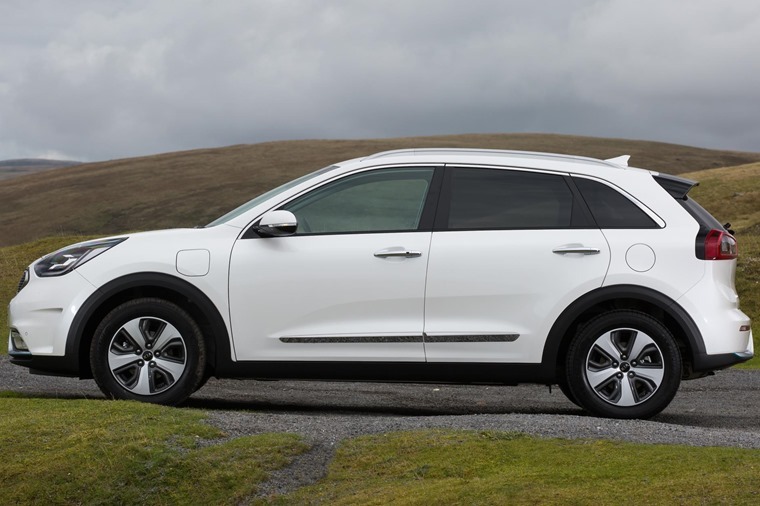 This plug-in hybrid (PHEV) is the latest addition to the Niro range. 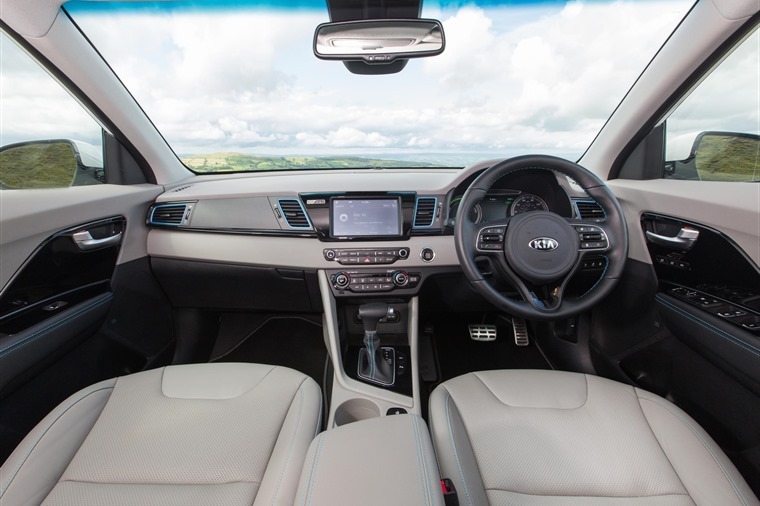 The interior is the same as the conventional hybrid's and is based on Kia's mid-range '3' trim. Externally, the charging socket and blue highlights around the bumpers are the only thing that marks the PHEV out from other Niros. It gets a 36-mile electric range and the batteries can be completely recharged in less than three hours. An 8in touchscreen infotainment system features, with satnav and Apple CarPlay compatibility. Official combined mpg stands at a very impressive 217 although, unless you mainly use the 36 miles of all-electric range on a daily basis, you can expect real-world consumption to be quite a way off official figures. 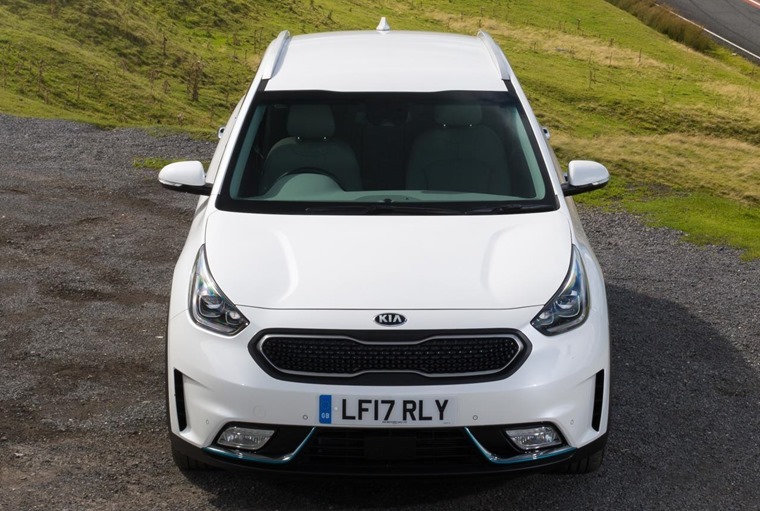 No release date or lease rates have been confirmed yet, although it gets a list price of £27,995 after the government’s plug-in vehicle grant is taken into account – around £2,000 more than a standard Niro ‘3’. You can check out thousands of deals on the conventional Niro here.